Located on the waterfront overlooking Great Bay in Philipsburg, Antoine Restaurant has been a star of the culinary scene on St. Maarten since 1978. The New York Times voted Antoine’s Lobster Thermidor the best on the island but diners also come for the eclectic French/Italian menu inspired by co-owner Jean-Pierre Pomarico. The Seafood Linguini is wonderful and the Duck in Cherry Sauce flavored with Cherry Brandy is also special. During the day you can enjoy a cool drink at the beach bar on the Ocean Walk while at night you can enjoy dinner by the soft breezes and twinkling lights of Great Bay. Years ago, if you wanted to purchase a vacation home on St. Maarten, your options would have been limited but it was a lot less expensive then. But as the popularity St. Maarten, St. Martin began spreading, developers took notice and started responding to the demand for accommodations. In the past five years there have been more than twenty new condo developments added to the island’s real estate inventory. The interest from buyers has been so great that many developers sold their entire inventory before their buildings were even completed. The desire to own property in St. Maarten has never been greater. Buyers in today’s market are benefitting from a variety of options when looking at condos and there are opportunities to purchase pre-construction as well as newly built inventory. Condos on St. Maarten can range in price anywhere between $200,000 to $2,000,000. Many buyers use their condos as rental properties for other vacationers when they are not using it themselves, making this a very lucrative option. The heart of our rich Caribbean cuisine lies in the mysteries of its exotic Concoctions and St. Martin’s Spiceman is at the very epicenter of this. Favored by visitors and restaurant owners, Miguel Lilia artfully brings the Spice of life to the island’s culinary circuit. Miguel has become a familiar face to anyone who appreciates good food. A visit to his stand in the famed Open-Air Market in Marigot is an adventure in itself as you’ll discover ingredients that you may never have heard of before. Miguel’s trade is a combination of science, art and tradition and he has carried on with his family’s traditions and many spicy secrets he learned from his grandparents. Miguel often spends weeks on end traveling around the Caribbean to places such as Guadeloupe, Jamaica, Grenada and Dominica to source his unique wares and even ventures as far afield as the Amazonian forests, Brazil, Africa and Madagascar to bring back the freshest and most unique spices. Miguel has recently launched his own line of spicy sauces known as Kalina products which include a wide range of unique flavors such as Creole, jerk, banana and garlic as well as mango, pineapple, passion fruit, papaya and green pepper. For all those who love to spend creative time in the kitchen and those with an adventurous palate, no visit to St. Martin would be complete without a visit to the Spiceman. You will, no doubt be going to the Open-Air Market during your stay so be sure not to miss the Spiceman. The Dutch Side capital of Philipsburg has over 100 jewelry stores along Front Street and all of them are high-quality and reputable. They have to be reputable because most jewelry stores on St. Maarten rely on repeat customers on an island with many thousands of repeat visitors per year. But with all these jewelry stores, there are a few that specialize in either a certain type of gem or are exclusive with certain well known brands. Let’s talk about Pearls. Pearl Gems on Front Street is renowned for carrying the largest selection of pearls in the Caribbean at excellent prices. With a buying office in Kobe, Japan and regular visits to pearl farms, they source the choicest pearls at the most competitive wholesale prices. Pearl Gems also manufactures one-of-a-kind creations with pearls imported from all parts of the world. Pearl Gems has a large selection of Black and Brown Tahitian, White Australian and Golden South Sea pearls in natural colors as well as all varieties of cultured and freshwater pearls and has an “unstrung” selection from which to choose those for custom stringing and clasping. Pearl Gems is a member of the Caribbean Gemological Institute and the Cultured Pearl Association of America and has U.S. Service Centers for the buyer’s convenience. All purchases at Pearl Gems are guaranteed and come with certified appraisals. Contributing to the reputation of St. Maarten as a hideout of the rich and famous has been the recent growth of the fleet of Mega-Yachts that use the island as a winter base. The island’s duty free status, availability of 300 top gourmet restaurants, easy access to all of the 37 sq. mi. island and its high quality marine services and proximity to the cruising grounds of St. Barths and Anguilla tip the scales in St. Maarten’s favor. It was thus a natural step for the Marine Trades Association to start St. Maarten’s first boat show in 2004, the St. Maarten Charter Yacht Exhibition. Every December, yachts from all over the world line up at Port de Plaisance Marina to make themselves available for inspection by yacht brokers and agents. The Charter Show serves as an opportunity for the broker to learn every aspect of any particular yacht before recommending it for charter rental. To sample the chef’s creations, try out the beds, verify the condition of all its amenities and spend time with the crews. Also important are the “Yacht Hops”, private parties aboard the yachts that go on until early morning that take place by invitation only. The schedule of events includes the “Concours de Chefs” which is one of the high points of the show. John Jackson, chef owner of Saratoga Restaurant in Simpson Bay, heads up the panel of judges while chefs from the yachts serve up their best culinary creations. This prestigious competition carries accolades throughout the yachting industry. The chef’s competition kicks off every November with the local Taste of St. Maarten Competition where island chefs battle it out for the chance to represent the island at the Caribbean Hotels Association event in Miami. The aim of the Taste of SXM Competition is to encourage new and innovative ways of preparing dishes, showcase individual skills and provide exposure for local culinary professionals. Another purpose is to promote careers in the restaurant industry for the island’s youth so that by seeing what the industry has to offer, they might go on to emulate the professionals. In June of 2005, a group of St. Maarten, St. Martin chefs boarded a flight to Miami, walked into the Taste of the Caribbean Culinary Competition and fired up the burners. After three days of “cook-off” tastings they were the only team left standing. 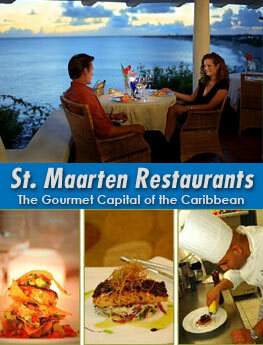 With an overall team gold, St. Maarten, St. Martin was, in its first attempt, officially the Culinary Capital of the Caribbean. Spearheaded by a group of local Rastafarian farmers, an agricultural wave is aiming to revive knowledge of local “bush” remedies. A brief look at which plant cures what ailment is just a scintilla of what any Caribbean grandmother can tell you. Tamarind: The looming Tamarind tree has been providing pools of shade in the Caribbean for over two centuries since its introduction from Asia. Beyond the providing of shade, the tree is a pharmacy. Boil down the paste from its pods and add sugar to make a refreshing juice which is a mild purgative and immune system booster. Aloe: Found all over the Caribbean, growing everywhere, is this “miracle” plant. While there are over 400 species of aloe in the world, only Aloe Vera is used in herbal medicine. More people are familiar with aloe than with any other Caribbean plant as the word “aloe” is plastered all over the suntan lotions they buy. Score the fleshy leaves and the plant oozes a gluey, bitter, sap. A small drop of this sap in something sweet has a cleansing, laxative effect but it is best known for direct application to sunburns, rashes, cuts and eczema not to mention all other kinds of burns. Soursop: Also known as Graviola, Guanabana or Corossal, the smooth, shiny leaves are boiled to make a tea with a calming, sedative effect that’s good for insomnia and to fight fever. It can also be made into a juice that has a taste between banana and strawberry. Lemon Grass: Also known as Citronella or Fever Grass it has a wonderful citrus smell. Mosquitoes hate it which is why the leaves are crushed and the oil used as a repellant. It can also be used to brew a tea which treats colds and tension. Noni: A South East Asian plant that has been taking the world of herbal medicines by storm. The extract of its nobbly fruit is turned into Noni Juice which is now a $2 billion global commodity. Noni Juice has antioxidant properties, aids digestion, cuts cholesterol and boosts energy. The importance of finding the perfect place to relax is topmost of most visitor’s priorities when visiting St. Maarten, St. Martin. Luckily, the island has an exceptional variety of good options, from guest houses up to luxury timeshares and exquisite private villas. The island’s hospitality began with the guest house, a small family-run business where everyone knows your name (Cheers?). A direct descendent of the guest house is the “boutique” hotel which adds some luxuries and more elegant design. For those who wish to be more at the center of things (although on a 37 sq. mi. island nothing is all that far from the center of things) the beachside mega-hotels, resorts and timeshare developments host new visitors and island veterans. Nearly all the hotels have in-house dining options but none are far from the main restaurant strips which offer many choices in both style, cuisine and price. Hook up with a car rental (absolutely essential on a small island as you’ll want to be able to scoot about from attraction to beach to restaurants with ease), island tour or boat trip and don’t worry about dinner until after sundown. There will come a point when St. Maarten, St. Martin starts to feel like a home away from home and you might want to put down roots. Timeshare is still in good health in this part of the Caribbean and the repeat visitors to the island are a testament to the good deals on offer. Some larger luxury condo developments are now making their appearance all over the island and this might be a good time to get your foot in the door as they are all selling out rapidly. Yet another testament to the popularity of St. Maarten, St. Martin. Ras Bushman’s Freedom Fighters Restaurant on the Bush Road (near to the Daily Herald Building) is a vegan restaurant where fresh produce from Bushman’s three local farms is served with natural wooden utensils. Bushman started planting in 1985 under the guidance of his grandfather and he now drives up to his farms on a daily basis to tend to soursop, kinip, mango, tamarind, sugar apple, noni, and avocado as well as herbs like basil, mint, sage and oregano. Outside of farming, Bushman is a vigorous campaigner to revive local planting. At the entrance to Bellevue on the road between Cole Bay and Marigot, a plot of farmland provided by the French Mayor is where the Solidarity Rastafari Organization grows its herbs, fruits and vegetables. Neatly organized rows of herbs such as tarragon, thyme, sweet marjoram, vervaine and parsley and lettuce are the first phase of planting. Next, the Foundation will plant a variety of fruit trees. The purpose of the Foundation is to prove that St. Martiners can grow crops. In 2008 the Foundation threw open its doors to the public for its first agricultural show. All of the Solidarity Foundation’s adherents are strictly vegan and what can be safer or more healthy that that? 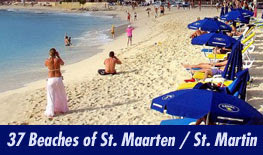 One of St. Martin’s great beaches is Friar’s Bay. On the road between Marigot and Grand Case (the island’s main road) you will see a prominent sign telling you to make a left turn to the beach and you will be on that road for about 4 minutes until you get to the beach. There are several restaurants on Friar’s Bay but the best known and longest standing is Kali’s Beach Bar and Restaurant. Kali’s features some of the best local cuisine on the island and is a great place just to hang out but Kali’s is most famous for its once a month Full Moon Party. On that specific night it’s truly party time and people from all over St. Maarten, St. Martin, including tourists, pack Kali’s for an all-night (not kidding) revel with Bob Marley and other reggae artists blasting, great food and camaraderie and at midnight, the lighting of the great Bonfire which is worth the trip itself. Kali’s Full Moon Parties have become, over the years, one of St. Maarten, St. Martin’s great traditions so if you’re a party animal and you’re lucky enough to be on-island when it’s full-moon time, this is one not to be missed. After more than 14 years of activity, the Windy Reef Center has become an icon of world and regional surfing. For the last two years, big international Wind and Surf labels have been turning their spotlight on the new energy in the islands and the team at St. Martin’s Le Galion Beach receives media attention on a weekly basis. Since January 2007 there has been an increase in national competitio0ns in St. Martin and St. Barths as well as in Guadeloupe and Martinique. During several days, more than 75 riders, photographers and cameramen disembarked in St. Martin to cover the events, pushing the island into the big leagues of global surfing. It was the St. Martin Wave Show in 2007 which was one of the biggest surfing successes which brought more than 400 spectators to the Windy Reef Center. The Quicksilver Waterboy’s and Girl’s Club for surfers under 16, also at Le Galion, hosted the King of the Groms international surf competition. St. Martin welcomed this prestigious qualifying series and Jean Seb has organized several competitions in the French Caribbean and has created a Caribbean riders team which will defend the brand and its clubs in the upcoming French surf championships. As you drive over the mountain from French Cul de Sac to Anse Marcel, you’ll be getting some incredible panoramic views so bring your camera. The beach at Anse Marcel is one you’ll want to photograph for its exquisitely developed resort and marina as well as the clear Caribbean waters and the neighboring island of Anguilla. The Yacht Club at Port de Plaisance is part of a five star resort called Port de Plaisance on the eastern end of Simpson Bay Lagoon and berthing visitors have access to all the resorts amenities. The resort itself features six gourmet restaurants, a major casino (Princess Casino), entertainment, luxury beauty spa, health center, tennis club, salon, swimming pools and grocery. The Yacht Club at Isle de Sol is a state of the art super yacht facility that was completed in 2003. Also conveniently located in Simpson Bay, it is close to some of the island’s finest restaurants, casinos, entertainment, banking and other services. Amenities included at Isle de Sol are a ship’s chandlery, luxury provisioning, free high speed wireless internet access, satellite T.V., swimming pool, spa pool and tennis courts. Now in two locations, on one end of the Ocean Walk at Bobby’s Marina in Philipsburg and adjacent to The Atrium Resort in Simpson Bay Beach, The Greenhouse has become an island tradition famous for its Happy Hour two for one drinks, fabulous Frozen Cocktails and great food such as Coconut Shrimp, Baked Stuffed Swordfish, Steaks, Prime Rib, Lobster, Ribs, Salads, Sandwiches and Burgers. The Greenhouse is also famous for its events and nightlife such as Lobster Friday and Prime Rib Thursday and Margarita Monday. If you're a first timer to St. Maarten then like everyone else that came before you, you're probably asking the obvious question, Where is St. Maarten? At 18.02 latitude and 63.07 longitude and sandwiched between the Caribbean Sea to the west and the Atlantic Ocean to the east, the dual island of St. Maarten, St. Martin is the smallest land mass in the world to be shared by two sovereign nations, France and the Netherlands. Of the island’s 37 sq. mi., 20.5 are on the French Side and 16.5 on the Dutch. The official languages are Dutch, French and English but there are over 100 nationalities on the island so you can hear anything from French Creole to Spanish to Cantonese to Hindi. The island is 9.3 miles in length and 8 miles at its widest with its highest point on the island is Pic Paradis (Paradise Peak) on the French Side at 1,392 ft. Simpson Bay Lagoon is the largest in the Caribbean and the island is blessed with 37 unique and beautiful beaches. The official populations are 41,000 on the Dutch Side and 36,000 on the French Side but in actuality the populations of both sides are much higher as many residents are not in the census and do not carry permits. The currencies are the Dutch Antillean Guilder and the Euro but the U.S. Dollar is accepted everywhere. I have lived on the island for 26 years and never have either a guilder or a Euro in my pocket. The Euro value versus the U.S. Dollar varies but the Guilder/Dollar comparison is consistent. Most prices on the Dutch Side are listed in guilders but can easily be translated to dollar value by dividing the guilder amount in half and adding 10%. Ergo: 10 guilders would equal approximately $5.50. The weather in winter is generally 66-89 degrees Fahrenheit and in the summer averages 72-89 Fahrenheit. The summer weather in the U.S. is generally hotter and far more humid as St. Maarten, St. Martin has the benefit of wonderful and gentle Trade Winds. Just off Orient Bay on French St. Martin is the small island of Tintamarre. Diederik Charles van Romondt was acting Lieutenant Governor of St. Maarten between the years of 1864 and 1900. His son, Diederik Christian van Romondt or D.C. Jr. acquired some fame in Europe as the King of Tintamarre as the island was his property and he moved there in 1902. The East end of Philipsburg, capital of Dutch St. Maarten, is where the town’s first house was built in the first half of the 18th century by Vice-Commander John Philips after whom the town is named. It remained the administrative center and more upscale part of town. It was here that St. Maarten’s most well known and iconic building was constructed, the present Court House which is still in use to this day. The Commander who had the Court House built in 1793, Willem Rink, also built a house in this part of town after getting tired of commuting in from St. Peters, a trip that takes 5 minutes in a car today but they didn’t have cars then so it must have taken a while. Half of his house on Front Street still stands on the left corner of the alley that was named after him, Rink Steeg. Commander Rink, much to his surprise, found himself in charge of the whole island when the Civic Guard he founded conquered the French Fort St. Louis in Marigot in 1793 without telling him first. Starting out in the 1990’s as a small outlet selling pasta and pizza in Sandy Ground, owner Davide Foini broke through a wall and opened a Trattoria that was always packed and La Gondola was born. In 2003 he moved the restaurant to its present location at Atlantis Casino at Cupecoy. Foini maintains that the team at La Gondola which includes Chef Marco Ferrante and Sous Chef Giulio Caccamo from Venice results in a traditional Italian menu such as Osso Buco Veal Shank, Seafood Linguini, Porcini Mushroom Risotto and delectable Gnocchi. Although opened for dinner only, the kitchen begins work at 9am preparing for this one meal. To placate those who want a Caribbean touch, Chef Marco has included a selection of dishes such as Seafood Risotto and Jumbo Shrimp Linguini which stray from the traditional Italian. The wine selection is 75% Italian but also includes French, California and South American labels. Simpson Bay Marina sits at the epicenter of what is, undoubtedly, the island’s most complete residential, marine and commercial center. With 120 slips and accommodating yachts of up to 200 feet with a maximum draft of 15 feet, it is the busiest marina on the island. The marina features all amenities including 24 hour security, water, gas and diesel fuel, high-capacity electrical services, free cable T.V. hookups, telephone hookups, yacht provisioning and concierge, chandlery, convenience store and restaurants within steps. The Simpson Bay area itself offers every convenience and service including banking, medical, dental, cinema complex and major resorts. Palapa Marina is also based in Simpson Bay Lagoon and has become a home away from home for visiting yachtsmen. The marina offers a wide variety of shops and restaurants and services that include security, yacht provisioning, V.I.P. services, laundry, day workers, crew placement and ships agents. St. Maarten, St. Martin is known for its duty free shopping and one thing you do not want to miss is shopping at Marigot’s Open-Air Market on the waterfront in French St. Martin. Populated by individually owned stands selling anything from food delicacies to vegetables to costume jewelry to all sorts of clothing and souvenirs, the open-air market is the place to buy all those gifts for friends and family back home and even for yourself. While the market is open daily, the best days to go are Wednesday and Saturday as those are the days that the “full” market is buzzing. A good idea is to visit the market near to lunch time as along the adjacent road and in the market itself are some wonderful restaurants and stands selling local delicacies. If visiting the market in the morning on your way out to a day of beaching at Orient Bay, Grand Case, Friar’s Bay or any of the French Side’s fabulous venues, there are also some of the most wonderful Patisseries (Bakeries) such as Le Soucriere which are known for their coffee and homemade pastries for you to sit and enjoy. Bel Mar is named for its beautiful view over Simpson Bay with its dramatic sunsets. Located on a hillside just off the road to Pelican Resort, its plates include Grilled and Fresh Seafood featuring the island’s best Baked-Stuffed Caribbean Lobster, taken out of its shell, cut into pieces, tossed with herbs and clarified butter and restuffed into its shell and grilled. Another treat is Bel Mar’s grass-fed Argentine Prime Beef “El Gaucho” Steak. Other delicacies include USDA Prime Rib, Snapper steamed in foil and Shrimp Pasta. Tempting desserts are home-made by a master chef. The restaurants breakfast and lunch service is always a great value featuring Tropical French Toast, Eggs, Crepes, Pizzas, Salads and Vegetarian dishes. Bel Mar’s Wine Bar has many great selections for the wine lover by the glass or by the bottle. What will you need when you arrive at the airport on St. Maarten to get through Immigration? Well you will have to show a Valid Passport or other Proof of Citizenship like a birth certificate, driver’s license or voting card to the Immigration agent upon debarkation. You will also need a Return Travel Ticket or a ticket to your next destination. For U.S. Citizens, your stay on St. Maarten is limited to 90 days before you have to leave. You can turn around and fly back for another 90 days as soon as you please. For Canadian citizens the requirements are the same except that your stay each time is limited to 14 days. There is no Customs Inspection when you land on St. Maarten but when you return home there definitely is one. Particularly as the island is a Duty Free Port and there are limits to what you can bring back. As some of the most popular items to bring home are jewelry, alcoholic beverages and tobacco. For example, you are allowed to bring two liters of liquor back to the States per person. How strongly is this enforced? Well it depends on the mood of the customs agent when you return. In general they are looking for real contraband so the extra liter or so will ordinarily not be a problem and, at worst, you may be asked to pay a 10% tax on anything over the limit. In most cases the agent will just wave you through but don’t be a wise guy and try to bring in a case of liquor as that will really annoy them. As far as other items, you can check the permissible limits and dollar values when you’re shopping on the island. Skipjack’s Seafood Grill, Bar and Fish Market was recently voted Best New Restaurant by readers of The Daily Herald, St. Maarten’s leading newspaper. Located in a large and wonderfully decorated premise directly on the Lagoon near the Simpson Bay Bridge, Skipjack’s offers a seafaring décor and a unique waterfront dining ambience with spectacular views of some of the world’s largest mega-yachts. Featuring both Live Maine and Local Caribbean Lobsters, Skipjacks is also known for Fish and other Seafood that is so fresh they have their own Fish Market. Open for lunch and dinner, Skipjack’s offers a complete wine list and homemade desserts. For the landlubbers there are also steak, ribs, chicken and pasta dishes to satisfy all appetites. In 2009, Philipsburg celebrated the centenary of the christenings of its alleys. One hundred years ago they received the names they still carry today. Philipsburg has moved on but time has stood still in the form of some of its architecture and in the names of its alleys. The alleys are still called “Steeg” which is Dutch for alley. Both Front Street and Back Street traded their names in for English ones to conform. To modern times but the alleys have retained their colonial sounding names, adding a ring of authenticity and quaint echoes of olden days. It Also means that some of these names have now become complicated tongue twisters like Schreinwerker Steeg, that is if you’re not Dutch. Schreinwerker Steeg is a good example of the name providing a feel of what old Philipsburg was like. It means “Cabinet Maker’s Alley” and one can imagine the scent of freshly cut wood and varnish and the sounds of hammering and sawing that advertised the craftsman’s trade. Several alleys leading to the beach in the West part of Philipsburg are reminders of maritime trades such as Vissers Steeg (Fisherman’s Alley) and Scheepmaker’s Steeg (Shipbuilder’s Alley). Hey. Those names sound kind of English. There are several riding stables that offer guided horseback tours to tourists. Near the entrance to Le Galion Beach on French St. Martin, The Bayside Riding Stables gives an opportunity for even the complete beginner to get on a horse and follow a trail through the Nature Preserve. Riders can enjoy a one or two hour ride along the beach and even ride their horses into the water. For the experienced horseman, classic equestrian lessons with a qualified French Federation instructor are also offered. For kids under 7, Bayside organizes half-hour pony rides led by a guide but parents are welcome to ride along too. Simpson Bay Lagoon, being the largest enclosed marina on St. Maarten, St. Martin, is serviced by two Draw Bridges allowing boats and yachts access in and out. On the Dutch Side, the bridge is located at Simpson Bay and on the French Side at Sandy Ground and both bridges have scheduled opening times. At the Simpson Bay Bridge, opening times are 9:30 and 11:30am and 5:30pm. This schedule is adhered to except perhaps during Heineken Regatta when the bridge will open more frequently due to the increased boat traffic in and out and all bets are off. When open, the Simpson Bay Bridge will accommodate vessels up to a maximum beam of 56.5 feet and maximum draft to 20 feet. When the bridge is closed there is 8.6 ceiling clearance and there is a 3 mph speed limit when passing through. On the French Side at Sandy Ground, the bridge will accommodate vessels with a maximum beam of 32 feet and maximum draft of 10 feet which makes the Simpson Bay access the most utilized for all the larger boats. Bridge opening times at Sandy Ground are 8:15am, 2:30 and 5:30pm. One of Philipsburg’s surprises is the St. Maarten Museum in a shaded alley leading to the Ocean Walk on the east end of Front Street. Walking in through the Museum Shop on the ground floor, one has no idea of all the museum space above when you reach the top of the stairs. Here can be found a colorful panorama of St. Maarten’s culture and history. The artifacts and displays form a fascinating mosaic of the island’s eventful past from the early Amerindians and Peter Stuyvesant’s clash with the Spanish to the days of slaves and planters. The museum is free but donations are welcome as it is operated by the St. Maarten National Heritage Foundation, a non-profit organization set up to save and restore historical buildings and sites and contribute to the island’s natural environment so do stop at the museum shop during your visit to browse through all its locally made arts and crafts and its handmade jewelry and souvenirs as all the proceeds go to the Foundation. Taxis are widely available on the island from all the major hotels and at the airport and all island establishments can order you a cab upon request. There are also taxi ranks at the Marigot Waterfront, by the Courthouse and the Cruise Ship Port in Philipsburg. Taxis have no meters but the rates are fixed by the government based on two persons. You can ask at your hotel or the Tourism Office for an official pricing guide but be aware that prices go up by 25% after 10 pm and by 50% after midnight. Unlicensed taxis (called a Jipsey) are to be avoided as these can often be unsafe. An easy way to get around the island is by bus. While there are clearly marked bus stops, one can be signaled from the roadside by waving your arm. You can stop the bus by simply indicating to the driver once you have reached your destination. The destination of each bus is clearly displayed on its front window. Fares are generally $1.00-$1.50 for your trip regardless of destination and buses pass frequently along the major routes but the frequency drops sharply at night. When kids are involved, beaching takes on a different perspective. Is the water calm and shallow? Is there an undertow? Are there sea urchins? Is there shade? Are there things for the kids to do? Luckily, St. Martin has some of the safest and most child-friendly beaches possible. Most notable among these is Le Galion which is even nicknamed “Baby Beach” because of its shallow water, mile long stretch of white sand and plenty of shade. Don’t want the kids or yourselves for that matter, getting a sunburn that can ruin the rest of your vacation. Le Galion also has an activity center and a wonderful family-run restaurant. Near to Le Galion is the Butterfly Farm which you will want to take the kids to see on your way home. Another child-friendly beach is at Orient Bay which is by far the most popular adult beach too. There are plenty of children’s playgrounds and fun activities such as trampolines and banana boat rides to keep the kids more than busy and tons of places to eat. Pineapple Pete opened 6 years ago with just eight tables and quickly became one of the busiest restaurants on the island. Owner Pierre Ferland has over 25 years of hotel/restaurant experience and runs a tight ship based on friendly and efficient service from a dedicated staff. Voted top 2 on the island for best International Cuisine, Pineapple Pete also has Live Music, 8 Pool Tables, 3 Dart Boards, Video Games and flat screens for live sports. Recent additions to the Pineapple Pete complex are the Alley Night Club and Sports Bar. Whether you pull up a bar stool for Pete’s legendary Mojito, stop by for take-out or settle down for its famous Lobster Thermidor or Seafood Casuela, Pineapple Pete’s offers a warm, friendly and informal family-oriented welcome with great attention to detail. Top Carrot is the St. Maarten, St. Martin’s best known and most popular vegetarian restaurant if not the only one and offers Mediterranean cuisine featuring daily specials. Located in the Simpson Bay Yacht Club right off the main road (Don’t worry. You don’t have to be a member) Top Carrot gives you the choice of the relaxing interior lounge or outside in its terrace. Top Carrot also features a complete and authentic Juice Bar with an amazing selection of healthy juices and shakes made with fresh fruit and vegetables. Conveniently located in Simpson Bay and approaching its 8th year, Jimbo’s Rock and Blues Café is already a St. Maarten institution. The aroma of Jimbo’s Mesquite Grill will get your taste buds ready to enjoy Sizzling Steak or Lobster Fajitas, Filet Mignon with garlic mashed Potatoes, Shrimp Creole, Chicken Chimichangas, or Barbecued Baby Back Ribs among many other wonderful dishes. Many say, I included, that Jimbo’s Stuffed Grouper in Lobster Sauce is the best single dish served on the island and that includes all the French restaurants also. With a great collection of classic rock and blues, Jimbo’s is the perfect place to enjoy the 41 oz. “Megarita” at the sunken bar or the swim-up bar. Whatever you do on your vacation you must eat at Jimbo’s at least one time. If you do this, Jimbo’s will become your favorite whenever you visit the island. Leaving from Grand Case on French St. Martin many times a day, the Seaworld Explorer is a semi-submersible craft with an underwater viewing gallery that takes visitors on a tour of the submarine world. You can sit in air-conditioned comfort and observe the brightly colorful fish of the reef world and watch them being hand-fed by divers so close to your window that you’ll feel like you’re floating among them while remaining bone-dry. The tour is incredibly popular with families as you’ll learn about the delicate infrastructure of the reef, turning around at Creole Rock to return to base. When on-island you can call at 542-4078 for more info. The Mediterranean ambience of the French Side Capital of Marigot is different from Dutch Philipsburg as the shopping is spread out throughout the town but parking in Marigot is much easier as there is a huge free parking lot adjacent to Marina Royale. You might want to start your Marigot day with breakfast at one of the Marina’s wonderful Creperies or Croissanteries before you begin your exploration of town or any one of those available at and adjacent to the famous Open-Air Market. Rue Charles De Gaulle, opposite the Marina, has a vast assortment of Boutiques, Jewelry Stores, Wine Shops and Parfumeries. If you’re shopping for fashions, shoes and/or perfumes and cosmetics, Marigot, rather than Philipsburg is the place to shop. The open-air market on the water is the place to shop for all those souvenirs and hand-made costume jewelry and all the gifts you want to bring home. The open-air market also has a section of stalls selling fresh vegetables and spices. There is no shortage of choices of places to eat, from small local stalls to Marigot’s wonderful variety of Cafes and Bistros so you’ll want to hang around for lunch. Marigot also has the fabulous West Indies Mall, a short walk from the Marina and open-air market. The West Indies mall is a collection of some of the island’s classiest shops and boutiques in a wonderful, marble-floored setting. High up on a hill behind the Mall is Fort Louis, once the stronghold of this colonial outpost and you can climb the stairs for a trip back in history. The three parallel streets that form the heart of the Dutch Side capital of Philipsburg, Front Street, Back Street and Cannegeiter Street is probably the easiest shopping layout you could find in a town. Here are some tips. If you’re visiting in High Season, you should check out the cruise ship schedules (any shop will have these). As St. Maarten is a major cruise port, you want to avoid shopping when the streets are full of thousands of cruise passengers. In general, there are no cruise ships on Mondays or Saturdays so you can have the town to yourselves. There is both free and paid parking available but it’s not so easy to find. Try to go to town early so you have a better chance of finding parking and also have the whole day or a significant part of it to do your shopping and then move on to one of your favorite beaches or activities. Parking in the center of town is virtually non-existent so don’t even bother to try. If you are early enough, grab breakfast at Chesterfield’s or at the Greenhouse or one of the small cafes in town before you work your way up Front Street and its over 100 jewelry stores among its other shopping attractions such as boutiques and gift shops. You can also stroll the Ocean Walk bordering Great Bay Beach and enjoy some refreshments or lunch at any one of its many cafes. Philipsburg has a variety of restaurants from French, Chinese, Creole and Indian as well as American cuisines so lunch is a pretty good idea. Most of the stores open at 10am and close at 5pm but generally stay open later if busy. The Hideaway Restaurant and Bar was first established in 1987. Perched beside an overflowing pool with a spectacular view out over the bay, this cozy nook offers cheerful breakfasts, long, lazy lunches and romantic, candlelit dinners. Its cuisine is international with generous portions and reasonable prices. The Hideaway is located at La Vista Resort which is next to both Pelican and Flamingo Resorts so it’s easy to find. From the first breakfast served in the morning breeze to the last dinner at night with the moon over the water. Chesterfields is a St. Maarten institution and has been one for many years. Located on Great Bay Marina with splendid views across the bay, Chesterfields is a favorite of both locals and tourists. A large restaurant, Chesterfields has an ocean lover’s décor. Fishing trophies, mounted catch and various marine artifacts that put you in a seafood mood. Some of these delights include garlic Shrimp, Conch Fritters, Scallops and Calamari but Chesterfields is equally famous for its lunchtime burgers and fries, juicy steaks and crispy Duck Chesterfields. The original idea behind Carnivals was to fatten up before Lent and to blow off some steam though some carnivals are nowhere near Lent. Well who’s watching? Let’s party. St. Maarten, St. Martin throws itself into celebrations every carnival season (two weeks in February on the French Side and two weeks in April on the Dutch Side). The backbone of Carnival is the parades when groups of exotically costumed revelers dance along behind wonderfully decorated floats. For the final Grand Parade, around a dozen troupes, each with over 100 members make their way through Philipsburg where the streets are packed with celebrating onlookers. This is called “playing carnival”. There is also Carnival Village at which a program of concerts, beauty pageants and the much heralded calypso competition are offered every evening as well as the premise being lined with tiny restaurants, bar-b-ques and bars constructed just for the two week period. If you’re here during carnival season, this is heartily recommended. St. Maarten offers one of the safest carnivals in the Caribbean with a friendly, fun and fabulous spirit. The Rhythm is infectious, the food and dring never end and the party doesn’t stop until the last go home. HMS Proselyte which sank in 1801 and is the island’s most popular wreck site. Although not much is left of the actual ship as it was wooden, you can find 13 encrusted cannons and 3 huge anchors. It is a beautiful site with walls of colorful corals and all varieties of sea life. The depth is 45-50 feet at the bottom. Carib Cargo is a 200 ft. cargo ship lost during hurricane Luis in 1995. The depth is 65 feet and the wreck features many different varieties of fish such as Yellow Tails, Spanish Hog Fish, Grunts, Drums, Sting Rays and many more. Divers can penetrate the wheelhouse and engine room. Lucy’s Barge is a broken up boat at a depth of 50-65 feet and is home to much sea life including reef sharks. Tiegland is also a broken up ship surrounded by colorful reef at 65-70 feet with thousands of fish and some lobsters. At Little Bay there are 5 wrecks, cannons and a real yellow submarine within a protected area. There are lots of easy shallow dives and a great variety of life including Yellow Tail, Snappers, Parrot Fish, Squid, Lobsters, Eels, Sting rays, Octopus and much more. Gregory is an upside down barge surrounded by a small reef in calm waters at 54 feet. Fu Sheng is a Japanese fishing vessel sunk in 120 feet of water. Garden Eels, Barracudas and sponges around the wreck. The Bridge where 3 small boats sunk near each other. Lots of sea life including Sea Horses at a depth of 50-53 feet. Porpoise is a tugboat sank in 2004. This is an awesome dive with tons of life. Divers can penetrate much of this wreck at a depth of 85 feet at the bottom and 40 feet at the top. The 10 acre, 537 room beachfront property Maho Beach Resort is one of St. Maarten’s hottest spots. Located on one of the island’s busiest strips with the islands largest casino, Casino Royale, and more restaurants and nightlife than you can shake a stick at, Maho Beach is one of the longest standing but completely modern hotel/timeshares on the island. Located directly on Maho Beach as its name indicates, there are so many amenities just downstairs on Maho Strip that one could be entertained on their vacation without ever having to move from the area although moving around the island is highly recommended. On the resorts premises itself, Maho Beach Resort offers three restaurants, two outdoor swimming pools and tennis courts. There is also the Good Life Spa just steps away as well as 40 duty-free shopping boutiques and within walking distance is the Sunset Bar and Restaurant, the island’s most popular watering spot. 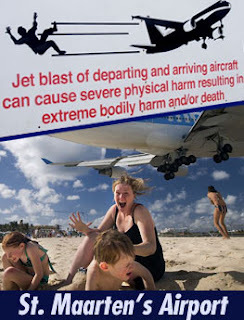 The resort is also just minutes away from Princess Juliana International Airport and many tourists crowd the Sunset Bar to watch the planes landing just over their heads. Located directly on Front Street and overlooking Great Bay Beach in the Dutch Side capital of Philipsburg, Holland House was the island’s first timeshare resort predating Pelican, Divi and Maho in the timeshare business and its inventory was completely sold out before all the larger resorts began to sell. This was at a time when most of the island’s activity was in Philipsburg and before all the location desirability moved to Simpson Bay and Maho Beach. Philipsburg is still the main shopping area on St. Maarten and there are still many restaurants in the area as well as the new Ocean Walk along Great Bay. The hotel offers 54 guest rooms and suites which have been newly refurbished but no activity amenities such as swimming pool, etc. 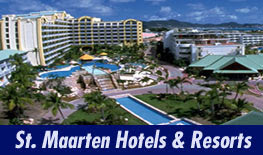 which is offered at all other resorts but St. Maarten is only a 37 sq. mi. island so none of the islands activities are far away. The first true resort to be established on St. Maarten, Divi Little Bay has grown tremendously since then and remains one of the island’s premiere resort/timeshares. Located directly on the beach at Little Bay, “Little Bay” is what the original resort was simply named until it was purchased by the Divi Corporation in the 1980’s and became one of the island’s largest timeshare properties. It still is and is still actively and successfully selling and is generally referred to as just “Divi”. One of St. Maarten’s landmarks, Fort Amsterdam, is adjacent to the property and the resort is within a 5 minute drive to shopping in the Dutch Side capital of Philipsburg and also only a 15 minute drive to the Simpson Bay area and all its restaurants and nightlife although Divi itself boasts its own restaurants, swimming pools and activities. High up on the hill overlooking Orient Bay, you will meet Johann who, with his dynamic young team at Rancho del Sol, serves up a well-balanced French and American Menu. This Western themed spot boasts a large open-air dining area from where you can admire the best views over the bay. The menu caters perfectly to mixed tastes as there is something for everyone. Whether it’s Fresh Tuna Tartare, a traditional French Fish Soup or a classic Pizza, the whole family will enjoy a trip to the highest location for dining at Orient Bay. The Gingerbread Gallery on Marina Royale in the French Side Capital of Marigot contains one of the most important collections of Haitian Art in the world. Created in 1984 by Simone Seitre and open to both amateurs and collectors and even the simply curious, Gingerbread Gallery is a museum inhabited by the greatest signatures in Haitian Painting. Haitian Art can reach the greatest heights of international art and Simone, an ardent fan for over 30 years, has greatly contributed to the worldwide distribution of these masterpieces thanks to numerous exhibitions around the globe. The Gingerbread Gallery is a window for the principal schools of painting: the Jacmel School (Prefete Duffaut), the Port au Prince School (Jean-Rene Jerome), the Cap Haitien School (Saint-Louis Blaise), the Primitives or Vaudou Painters (Wilson Bigaud, Hector Hyppolite, Georges August) and the Naives and Modernists. Open the door to this gallery that genuinely touches the history of a people, where excellence is linked to emotion and in which the paintings explode with life. Celebrating nearly 40 years of excellent dining in a 150 year old vintage gingerbread Creole house on Front Street in Philipsburg, L’Escargot must be doing something right under the direction of Joel and Sonya. The name of the restaurant refers to the eight different styles of snails on the menu. Some of the house favorites are a fabulous Rack of Lamb with herbs and garlic, Fresh Dover Sole Meuniere and their famous Roast Duck with a choice of Guavaberry, Pineapple or Banana Sauce. L’Escargot also offers fabulous desserts such as Chocolat Blanc et son Coulis de Framboise (White Chocolate with Raspberry Sauce). If you want heat you can try any one of over 50 hot sauces offered. There is also an impressive wine list. L’Escargot is also known for its Friday Night Cabaret in the manner of La Cage au Folles. Even the chef moonlights as Maurice Chevalier and the owners, Joel and Sonya do a duet as Kenny Rogers and Dolly Parton after serving you a fabulous 4 course meal. Located just seconds from Soprano’s Piano Bar in the heart of Maho Plaza, the restaurant features a full Italian menu and Pizza. For starters try the fantastic Antipasti Misti, a wonderful selection of antipasti from spicy salami to prosciutto, cheese, olives, bruschettas and much more. The Pasta dishes are awesome such as the Gnocchi di Massimiliano a homemade potato gnocchi with prosciutto, mushrooms, tomato and cream in addition to a fine selection of meat and fish dishes. Also try the Scallopine con Funghi e Marsala - Veal Cutlets in a creamy Marsala sauce with mushrooms. Top off your meal with a fabulous Tiramisu or an Armagnac tasting with an assortment of cheeses. Terra welcomes you to an enchanting experience of fine cuisine at Maho Plaza. The kitchen combines classic and contemporary elements using only the freshest of ingredients. A blend of the best the Caribbean has to offer with time honored cuisine makes Terra something special. The warm and professional staff will help guide you through the enticing menu and impressive wine list to ensure a perfect dining experience. Opened in 2004, Terra continues to be a firm island favorite. Following a recent move from Simpson Bay to Port de Plaisance Resort next to its famous Princess Casino and hosted by Jack and Linda Parker who moved to St. Maarten from Scottsdale, Arizona, Peg Leg Pub and Steakhouse has effortlessly picked up where it left off, serving delicious, affordable lunches and dinners washed down with many of the world’s most famous beers. Lunch and dinner menus include USDA Choice Steaks, Fresh Caught Seafood and Saba Lobsters as well as Burgers and Deli Sandwiches. Daily lunch specials beginning at $8.95 make Peg Leg a favorite among local businessmen and women as well as island visitors. The Roland Richardson Gallery in Marigot offers visitors a glimpse of island magic in a 19th century townhouse designated as an official historic landmark and where they can step into the past and feast their eyes on wall-to-wall magnificent art. His colorful “Plein Air” paintings, always created on location, have earned him recognition as a leading Caribbean Impressionist with over 40 years of work in Oil, Watercolor, Pastel, Charcoal and Etching. Native to St. Martin, Sir Roland is certainly the island’s best known artist and he has been distinguished with both a Knighthood and Lifetime Achievement Awards for his contributions to St. Martin’s culture. On Thursday mornings from 10 am to 1 pm, Sir Roland conducts Master Classes at his Marigot Gallery on Rue de Republique. Art appreciators can experience painting demonstrations and creative talks while viewing portraits, still lifes and “plein air” paintings done in the gallery’s garden. There is also a year-round exhibition of Sir Roland’s work at the famous La Samanna Hotel on Baie Longue where on Wednesday mornings he conducts another Master Class. Celebrating its 16th year and overlooking the entrance channel from Marigot Bay to Simpson Bay Lagoon in Sandy Ground, Mario’s Bistro offers informal dining with an impeccable cuisine combining a French Caribbean Menu and Asian Influences courtesy of award-winning Chef Mario Tardif. Open for dinner only, the restaurant draws a mixed clientele of loyal locals and island visitors in search of epicurean delights such as Honey Garlic Glazed Duck, Pistachio Encrusted Mahi-Mahi and Sashimi. Unique for its location away from the busier Marigot areas, Mario’s Bistro provides a cogent reminder of how to maintain the popularity of a top restaurant for all these years. Keep it simple and sophisticated but do it excellently and with consistency. Blending an open-air European elegance with a trendy Caribbean Flair. Ocean Lounge at Holland House Beach Hotel in the St. Maarten capital of Philipsburg is the perfect place to step off the Ocean Walk or take a break from shopping on Front Street and enjoy a laid-back lunch, bar snacks or a romantic dinner. Spearheaded by Chef Ricardo Niels from Holland and 25 attentive staff, Ocean Lounge is one of the island’s classier meeting places, whether for cocktails at the lounge bar or a bottle of wine accompanied by a selection of over 20 innovative appetizers. Now featuring two locations on Dutch St. Maarten, the original at Bobby’s Marina at the far end of Philipsburg’s Ocean Walk and the newest location adjacent to The Atrium Resort in Simpson Bay, both popular Greenhouse Restaurants offer a relaxed but lively atmosphere with affordable, quality food. Both restaurants feature menus that include Jerk Chicken Wraps, Fish and Chips, Grouper Creole, Burgers, Sandwiches, Smoked Ribs, Fish, Shrimp, Pasta, Certified Angus Steaks, Filet Mignon and Goat Cheese Salad. There are special discounts on Crab-A-Ganza Wednesday, Prime Rib Thursday and Lobster Mania Friday. Homemade desserts include Key Lime Pie, Cheesecake and Brownie Delight. And what exactly is a Rhino Ride? Do you have to hold onto the tusk? Will you get trampled by an enraged Rhinoceros? Are there actually Rhino’s on St. Maarten? Is there an Elephant Ride too? None of the above. The Rhino in this case is a 10 ft., two person powered watercraft which is the three time winner of the prestigious Tour of the Year Award, that you command as you explore St. Maarten, St. Martin’s coastline, enjoying the great views and snorkeling at Happy Bay or Creole Rock. You don’t need any experience. People of all ages can enjoy the thrill of piloting this craft and have over 3 hours of fun besides. After a brief instruction, you’re off on a delightful trip across the waves following your personal guide to a fabulous snorkeling spot and then to one of the island’s famed watering holes for complimentary refreshments. On the road to Le Galion Beach on French St. Martin is one of St. Martin’s most popular and unique tourist attractions, La Ferme des Papillons or the Butterfly Farm. This natural haven offers a display of awesome colors and fluttering beauty in all shapes and sizes and a complete education on the butterflies life cycle and their importance to the entire world. From the tiny eggs attached to the undersides of tropical leaves to the non-stop eating machines we call caterpillars to the mystery of the cocoon and finally the witnessing the actual emergence of the fully metamorphasized butterflies which is a spectacular sight to behold. The farm is open daily from 9am and offers visitors guided tours in several languages which frequently leave them awestruck and inspired to create their own butterfly garden back home. The last of these daily tours takes place at 3pm and it is recommended that visitors wear bright colors and not to forget their cameras. You’ll be sorry if you do. The bright colors attract the butterflies and a little perfume helps also as they will land directly on you as if you were the flowers they feed on. Adjacent to Pic Paradis (Paradise Peak) which is the highest point on St. Maarten, St. Martin is the nature preserve of the Loterie Farm. In addition to the eco-pleasures of exploring and hiking the Loterie Farm and draped around and attached to some of its majestic trees is a series of high tensile steel cables. These are part of the “Flyzone” because, once attached to them you can zip away high above the forest at speeds in excess of 40 kph for distances of of almost ¼ mile. The Flyzone experience begins with a hike (shuttle also available) through Loterie Farm’s protected forest under a canopy of the very trees that you will soaring over the tops of. Once ascending to the observation deck at the top of Loterie Farm, you will be at the starting poing of the Flyzone. Now, hooked in and held by high tech, state of the art equipment and guided by highly trained guides you will discover the reality of Isaac Newton’s Third law. Rigorous hike up and thrill ride down. Multiple traverses hundreds of feet off the ground and criss-crossing high above the forested cantons of Loterie Farm. An experience as close to actually flying as one can get. Once back at Loterie Farm base, don’t miss the famous and award winning Hidden Forest Café so visit the Loterie Farm at lunch time to enjoy this reward also. On Front Street in the heart of the Dutch St. Maarten capital of Philipsburg is the Guavaberry Emporium. Guavaberry is the legendary St. Maarten folk liqueur and is made behind the Emporium, the front of the Emporium being used to display and taste the finished brew. This old cedar house was built on the site of an 18th century Jewish synagogue and for many years was the famous West Indian Tavern. The island’s Guavaberry Colada cocktail was invented here and free tastings are offered every day. Now here’s something that only those who live here would generally be privileged to. Native St. Maartener’s often brew their own Guavaberry Wine and, in many cases, keep a bottle or bottles of it in stashed in some closet or other. I having lived on St. Maarten for over 26 years and being friendly with many local St. Maartener’s as a result, has had the opportunity on many occasions to partake of this homemade brew which is incredibly stronger than the store-bought version. The store-bought is wonderful but if you want to get thoroughly “blatzed”, have some of the homemade.